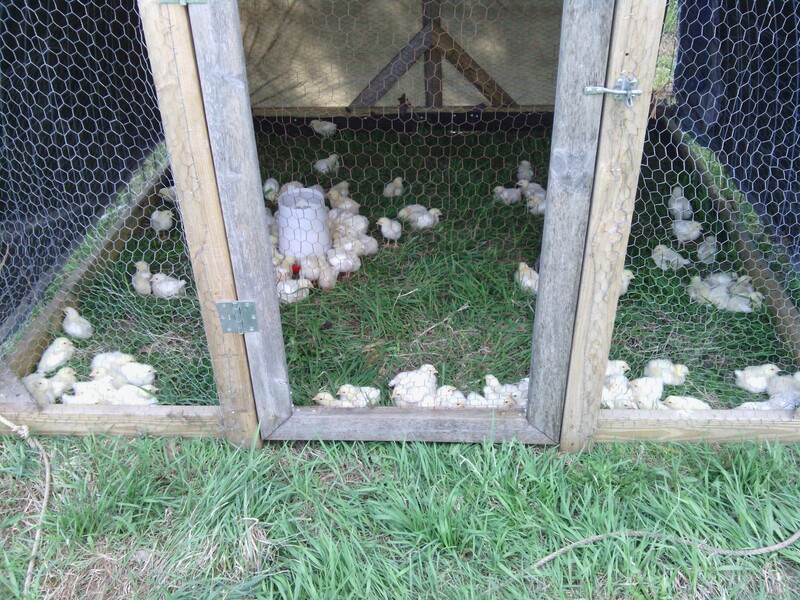 So from an 'environment' perspective we've lost one chick during their first 2 weeks on grass. The weather finally broke. 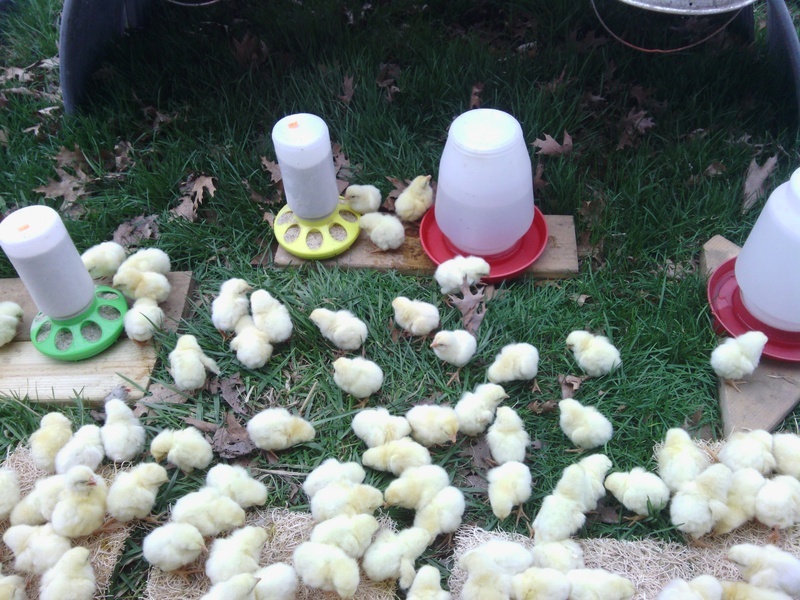 Days in the mid 70's or so with nights in the mid 40's (or better) and the chicks are looking great! As I mentioned in the last entry, the big thing is getting the environment stable as well as warm. Their water should be air temp or better vs right out of a tap. Since ours comes from a well, it'a about 50 degrees and a bit 'chilly'. Also, no matter what type of waterer we've used, a few of them always end up taking a bath, so keep an eye and if they do, just warm them up ... their 'fuzz' being wet is not a good thing. To say the least, the weather for mid to late April is not helpful. 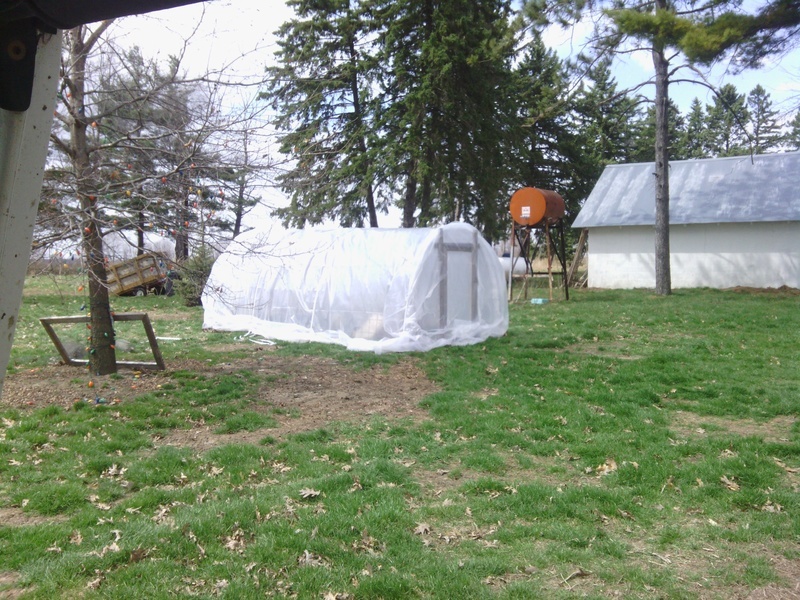 Highs in the low 40's and overnight around 28 degrees ... so I added an insulation tarp over the half of the hoop shelter they occupy. 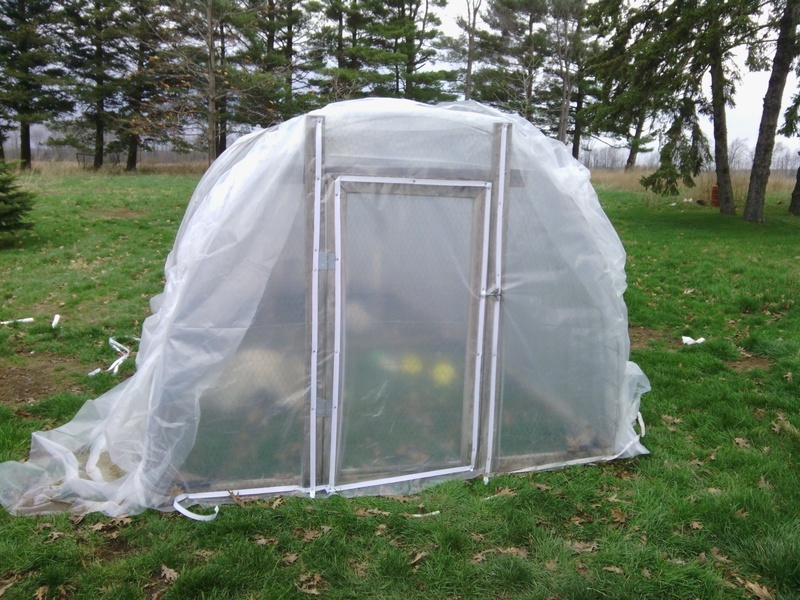 The nylon web strapping has been the best material find to deal with any type of plastic / tarp, etc... On the front of the hoop house, I just screwed on the straps and then cut the plastic ... custom fit. I'm trying a new 'hoop in the hoop' structure in the hoop house to capture the heat closer to the chicks. 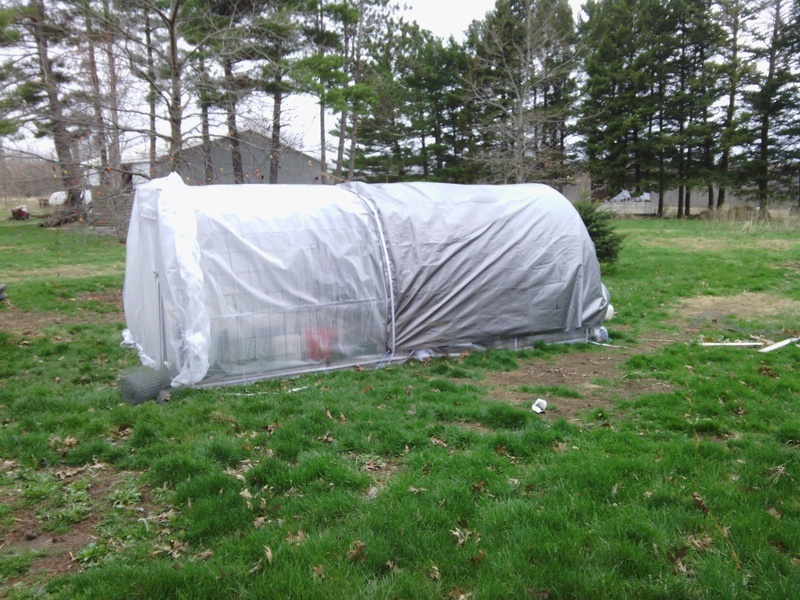 By getting this set up a couple of days ago ... before any rain, the ground is dry, but has a nice layer of grass. 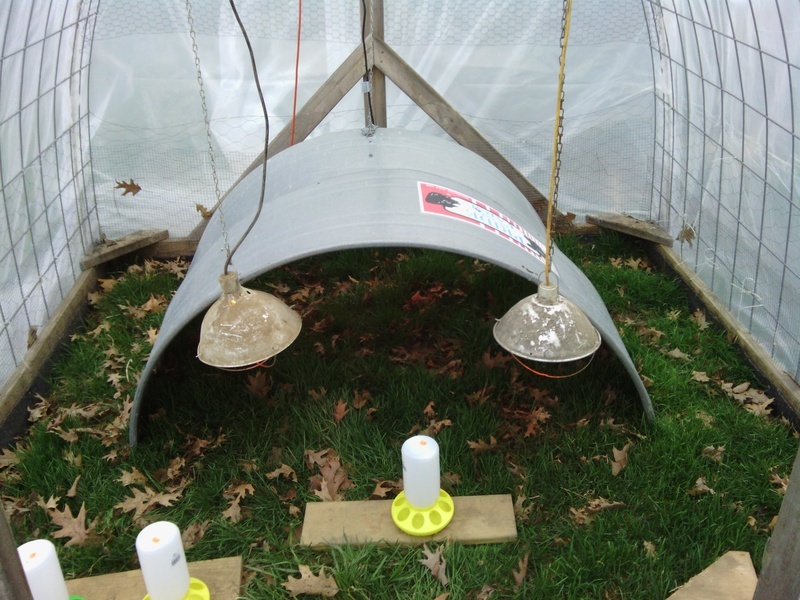 The ground temperature is also much closer to the air temperature and even warmer in the 'hoop in hoop'. I'll post the chicks jumping out of their box and get they healthy start they need. By providing a shelter that manages the weather, the chicks just do what they know to do instinctively. Again, we've seen consistently lower losses and better grazers as they grow.